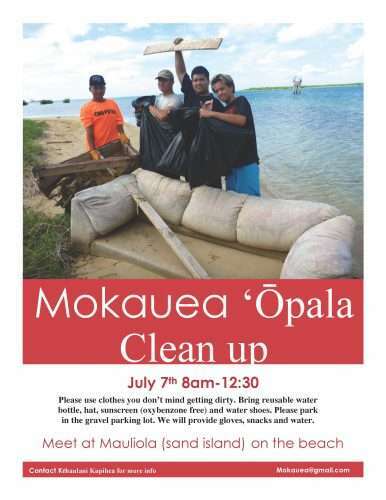 Mokauea is the catch all for all the ʻōpala in Keʻehi. We have a 40ft matson container and need help to fill it with all the bags of ʻōpala collected over the past year. Mahalo nui loa!